The Kawasaki Ninja 250 has not been updated since 2013. 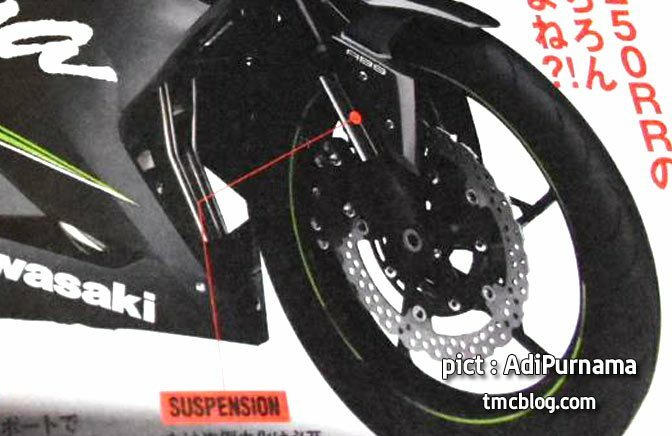 A new rendering of the 2017 Kawasaki Ninja 250 has been published by the Japanese motorcycle magazine, Young Machine. The quarter-litre has been imagined with sleeker LED headlamps and upside down front forks. The 2017 Kawasaki Ninja 250 has been rendered with upside down front forks and a sleeker headlamp. Unlike previous reports, the upcoming Kawasaki Ninja 250 facelift might turn out to be powered by a twin-cylinder mill and not a four pot. A four cylinder layout not only will have made the proposition difficult to build and maintain but also more expensive than rivals. The parallel twin mill, in its present state, displaces 249 cc and is capable of producing 32 PS of maximum power at 11,000 rpm and 21 Nm of peak torque at 10,000 rpm. 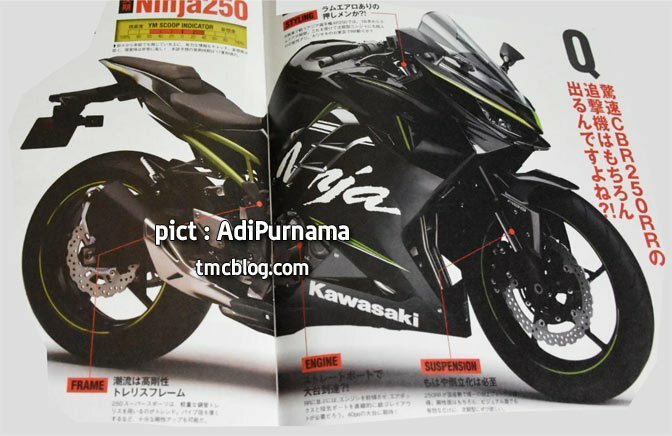 The figures will get a major boost so that the new Kawasaki Ninja can take on the Honda CBR250RR. The Honda is at present the most powerful quarter litre series production motorcycle with an output of 38.7 PS of power and 23.3 Nm of torque. The speculative rendering has the front section inspired from the Kawasaki Ninja 650. The Kawasaki Ninja 250 update may utilise a steel trellis frame. The 249 cc mill in the Kawasaki Ninja 250 mill is capable of producing 32 PS of power and 21 Nm of torque. The new one is expected to get a significant power bump. Expect the new Kawasaki Ninja 250 to be released late next year or in 2018. The changes on the quarter litre would eventually make their way into the Kawasaki Ninja 300 sold in some Asian, European and American markets.